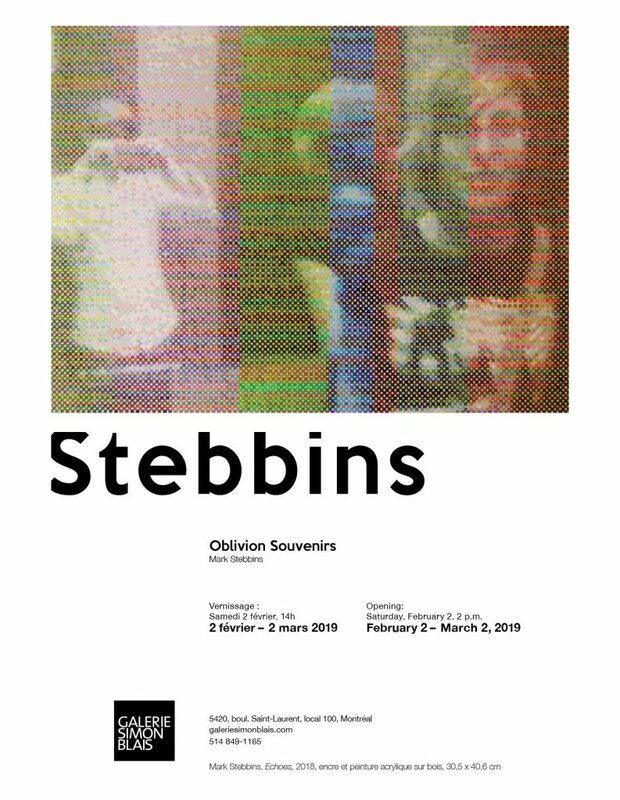 Please join me at the opening of Oblivion Souvenirs, my second solo exhibition at Galerie Simon Blais, Montreal. Through 14 paintings and 4 digital works — equally encompassing both abstract and figurative imagery — this exhibition explores memory in the context of digital imaging, as well as the recording of experience through hand-labour and textile practices such as quilting. Many of the paintings are based on photographs I have taken with my mobile phone, part of my immense and ever-growing archive of photographs capturing moments I barely remember. In converting these snapshots to paintings I have reduced their precision (by reducing the pixel dimensions, for instance) but greatly increased my engagement, spending up to 100 hours per painting to render the them in acrylic. Through different means of altering or degrading the original images, each work suggests some degree of loss, fragility and impermanence. The digital works (offered as limited edition archival inkjet prints) fuse the immediacy of mobile photography with the slow deliberate nature of quilting, reconstructing quick gestural drawings and digital photographs piece-by-piece from hundreds of scans of textiles, predominantly of my family’s clothing. Figures are rendered simultaneously intimate yet indistinct, as if floating on the cusp of memory. Working in a slow, craft-like manner I’ve attempted to slow down time in relation to moments of my life, creating works that embody the tension between speed and slowness, between memory and oblivion, between holding on and letting go. This entry was posted in Uncategorized on January 30, 2019 by mark.